SMD Tyres have contributed in various tyre tests over the years including tests for Motorcycle News, Fastbikes Magazine, Performance Bike Magazine, Pirelli and Metzeler to name but a few. Our knowledge and experience in motorcycle tyres is well known throughout the industry. S.M.D Tyres is a leading name in the motorcycle tyre business and will continue to be for years to come. SMD tyres also provide a complete tyre supply and fitting service for vans, cars and trucks. S.M.D Tyres has a history dating back over 20 years in the tyre industry and we pride ourselves on the level of service we provide to all of our customers. S.M.D Tyres was first established in 1983 by enthusiastic club racers who saw a gap in the market for the supply of Michelin motorcycle race tyres. A company was formed to import the Michelin tyres direct from France and soon an S.M.D van could be seen at many race circuits around the country. When new tyres are fitted, they should not be subjected to maximum power until a reasonable "running in" distance has been covered. 100 miles (160km) is the recommended minimum. Tyres should then be visually examined and their inflation pressures checked before riding at high speed. This Website features the tyre services from SMD Tyres based in Leigh in the North West. 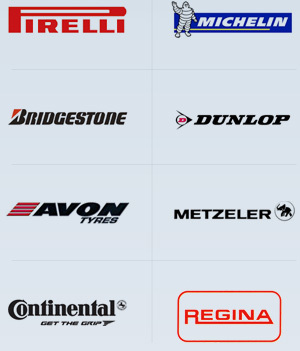 Information covers our work as suppliers of motorcycle racing tyres, van tyres, car tyres, bike and pilot tyres with ranges from Michelin Tyres, Dunlop, Continental and Pirelli Tyres. SMD tyres services are featured covering both standard car and van tyres plus our reputation as renowned suppliers of motor cycle racing tyres, pilot and bike tyres. With names such as Michelin Tyres, Dunlop, Continental and Pirelli Tyres combined with our knowledge and skill this reputation comes as no surprise.